Hello my dears, here is a nice idea for them, who have not decided yet, which bag wants for this season. 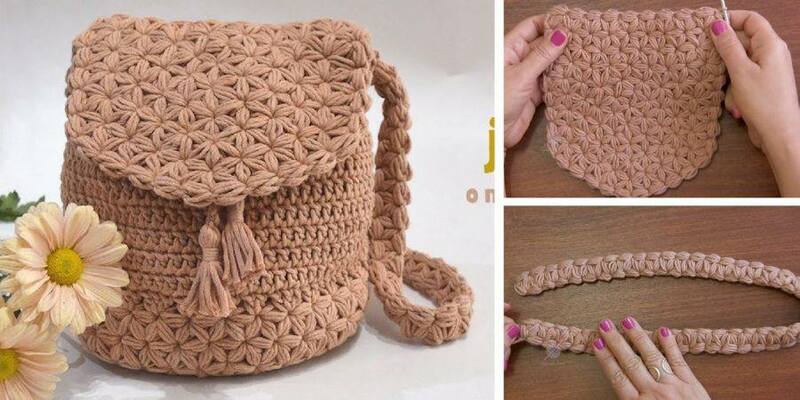 Crocheting with jasmine stitch is awesome, you can crochet many beautiful items, if you will learn crocheting this way, trust me this information will be useful for you. Here is a free video tutorial in Spanish, but if you do not understand in Spanish, it will not be problem for you, because watching this video you will understand everything you will need in the working process. I hope you will like this tutorial. You can also look around this blog and find many interesting ideas about crochet, wish you a god day!